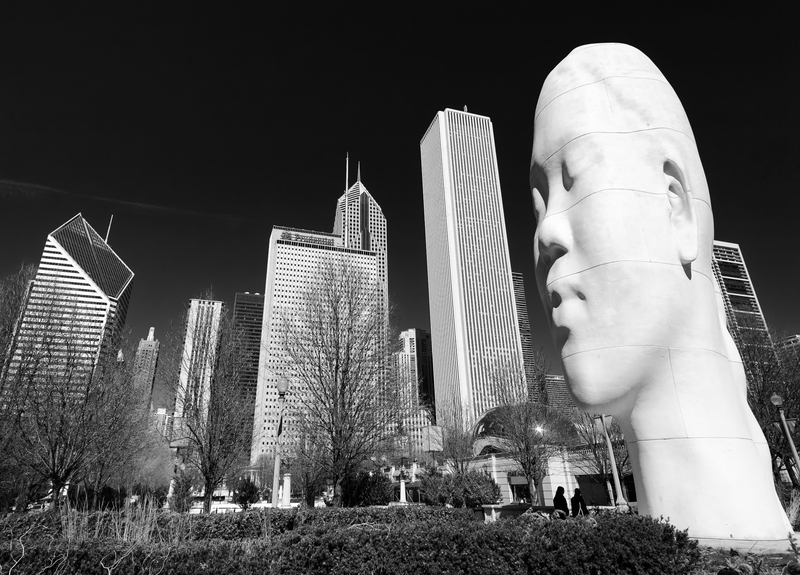 I have not researched this yet to know the artist(s) or project, but there are at least four of these giant heads in and around Millennium Park in Chicago. This one makes a nice addition to the skyline, don’t you think? I saw one of these in Madison Square Park in NYC a few years ago. I don’t anything about them either but they’re interesting. That’s crazy… in a good way. Love your composition and processing!